In January this year, it emerged that unpublished medical and scientific records relating to Dr Kelly’s death – including the post-mortem report and photographs of his body – had been secretly classified so as not to be made public for 70 years. Our new revelations include the ambiguous nature of the wording on Dr Kelly’s death certificate; the existence of an anonymous letter which says his colleagues were warned to stay away from his funeral; and an extraordinary claim that the wallpaper at Dr Kelly’s home was stripped by police in the hours after he was reported missing – but before his body was found. In fact, it was the fourth. Using a public inquiry to replace a coroner’s inquest – under Section 17a of the Coroner’s Act – in order to examine a death has only ever happened in three other cases. And in each case, it was where multiple deaths have occurred. 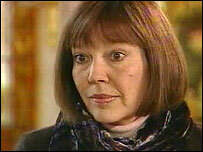 But it is now clear that the opposite was in fact true – for Hutton lacked the powers of a coroner. He could not hear evidence under oath; he could not subpoena witnesses; he could not call a jury; and he could not aggressively cross-examine witnesses. Misleadingly, the death certificate states an inquest did take place on August 14 – even though we now know no inquest actually happened. And extraordinarily, though it bears the signature of the registrar, it is not signed by either a doctor or a coroner as every death certificate should be. They are radiologist Stephen Frost, trauma surgeon David Halpin, vascular surgeon Martin Birnstingl, epidemiologist Andrew Rouse and internal medicine specialist Christopher Burns-Cox. 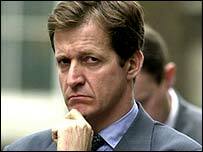 Their investigations have raised many doubts about the widespread assumption that Dr Kelly killed himself. Since then they have asked via their lawyers Leigh Day & Co to see the classified records, but under the last Labour Government, the Ministry of Justice – the department which holds them – repeatedly denied them access in the run-up to the last General Election. No reason was given. His request was also denied. Using section 41 of the Act – known as an ‘absolute exemption’ – the ministry said it was not obliged to reveal the information. The correspondent said Kelly’s colleagues were ‘warned off’ attending his funeral – presumably by MoD officials, although this is not made explicit. Frustratingly, there are no more details in Rawnsley’s book about what Hoon was referring to – but Hoon visited Dr Kelly’s widow shortly after his death and has never publicly denied this explosive charge. Yet mysteriously, he says now that – despite contacting the TV station – he has ‘maintained a silence on this [matter] on behalf of the [Kelly] family for a very long time’. Rowena Thursby, a former publishing executive who became fascinated with the case and started looking into it, told us that Dr Kelly’s widow, Janice, admitted to her that on the night Dr Kelly was reported missing in July 2003 – but hours before his body was found -Thames Valley Police asked her and her daughters to leave their house and wait in the garden. As with the extraordinary details of the helicopter search, this vital information was only obtained using the Freedom of Information Act almost five years after the Hutton Inquiry ended. It was not heard at the inquiry. Justice Secretary Ken Clarke is considering releasing medical documents on the death of Dr David Kelly to a group of doctors demanding an inquest, the BBC understands. 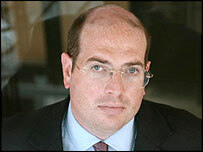 The doctors have questioned Lord Hutton's 2004 verdict of suicide on the government weapons scientist. They have been calling for material from the post-mortem to be released. Lord Hutton requested a 70-year gagging order on it but has said he does not object to the doctors seeing it. He said in January that the purpose of the secrecy order, made at the conclusion of his inquiry, had been to avoid causing distress to Dr Kelly's family. 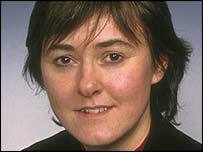 He wrote to ministers in the previous Labour government to say that the report may be seen by the doctors. Now Ken Clarke is considering whether to release the material. In a statement, the Ministry of Justice said: "The Secretary of State will consider the full facts surrounding this issue." Mr Clarke could decide to launch a public inquiry into Dr Kelly's death and it is understood conversations have taken place between ministers in the new coalition government, including Attorney General Dominic Grieve, about such a possibility. 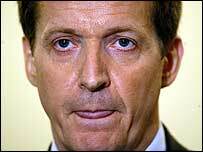 When the Conservatives were in opposition, Mr Grieve backed calls for the investigation into Dr Kelly's death to be re-opened as the public "have not been reassured" by the official verdict that he killed himself. He also praised the campaigning doctors who questioned Hutton's verdict for making a "cogent" case. As the most senior law officer in England and Wales, he could now ask the High Court to reopen the inquest into the scientist's death. Mr Grieve is not actively pursuing this course of action at the moment but it is thought he would do so if he was persuaded there was fresh evidence. Transport Minister Norman Baker, a Lib Dem MP who has carried out his own investigation into Dr Kelly's death, is also reported to have been pushing government colleagues for a fresh inquiry. 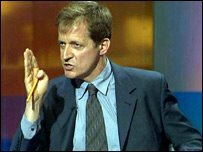 Dr Kelly's body was found in woods close to his Oxfordshire home in 2003, shortly after it was revealed that he was the source of a BBC report casting doubt on the government's claim that Iraq had weapons of mass destruction capable of being fired within 45 minutes. 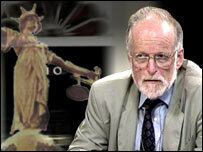 An inquest was suspended by then Lord Chancellor Lord Falconer, who ruled that Lord Hutton's inquiry could take its place. 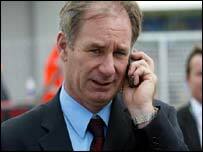 Lord Hutton's report in 2004 concluded that Dr Kelly had killed himself by cutting an artery in his wrist. But the campaigning doctors claim there was insufficient evidence to prove beyond reasonable doubt he killed himself. The experts include trauma surgeon David Halpin, epidemiologist Andrew Rouse, surgeon Martin Birnstingl, former assistant coroner Dr Michael Powers QC, radiologist Stephen Frost, and Chris Burns-Cox who specialises in internal general medicine. 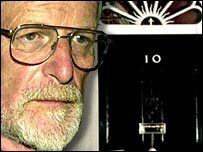 The death of the former Iraq weapons inspector Dr David Kelly seven years ago caused a political firestorm that profoundly destabilised the Blair government. Dr Kelly was found dead in the woods near his home after he had been named as the source of an explosive BBC report that claimed the Government had 'sexed up' the evidence that Saddam Hussein possessed weapons of mass destruction. 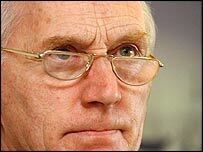 In the high-profile inquiry chaired by Lord Hutton into the circumstances surrounding Dr Kelly's death, the one thing that was never queried was the premise that he had committed suicide. This was taken as read, and many believed his 'outing' had driven him to take his own life. Yet now the new Attorney-General Dominic Grieve has let it be known that he may order an inquiry to look again at the assumption that Dr Kelly died by his own hand. At the same time, the Justice Secretary Ken Clarke is said to be considering a request to release the medical files relating to the scientist's death. This is all very much to be welcomed as potentially shedding light on an intensely controversial event that has grown ever more murky as the years have rolled on. It was especially puzzling, for example, that, as was revealed earlier this year, Lord Hutton quietly ensured the evidence relating to Dr Kelly's death was to remain a classified state secret until 2073. Given that Dr Kelly had been closely involved in the most sensitive of intelligence work, it would not be surprising if certain evidence given to the inquiry in closed session was to be kept secret in order not to compromise security sources. But Lord Hutton went much further than this and classified all the medical and scientific records connected with Dr Kelly's death, the post mortem report and photographs of his body. This inexplicable secrecy can excite only suspicion that the authorities have something very bad indeed to hide. So an inquiry would be welcome if it kills off such speculation. Nevertheless, such a move by the Attorney-General would raise many eyebrows. For it suggests that the real scandal over Dr Kelly was one that was totally missed in all the sound and fury of the Hutton inquiry. Until now, those claiming Dr Kelly did not commit suicide have been regarded as off-the-wall conspiracy theorists. Neither Mr Grieve nor Mr Clarke, however, can possibly be considered to be among their number. Moreover, it's not as if they are being forced to respond to the kind of public pressure that brought about the farcical inquest into the death of Princess Diana. There has been no widespread public disquiet over the manner of Dr Kelly's death at all. The prospect of an inquiry comes out of a clear-blue sky. It is being mooted simply because the rational, cautious and circumspect Attorney-General is said to be concerned that the full truth about this may not have emerged. This is particularly welcome for those of us who have long thought that Dr Kelly's presumed 'suicide' raised troubling questions that have never been satisfactorily answered - indeed, never addressed at all. Those behind the campaign to reconsider the suicide verdict are a group of doctors who have looked at the available evidence and decided that it just doesn't stack up. The points they make are compelling - so much so that Mr Grieve has commended them for making 'an impressive and cogent case'. For example, Dr Kelly was said to have killed himself by severing the ulnar artery in his left wrist with a blunt gardening knife, along with swallowing some 29 Coproxamol painkiller tablets. He was said to have died either from haemorrhaging blood or a combination of cutting his wrist and taking the overdose. But the doctors pointed out that virtually no blood was found near his body - and his stomach contained merely a fraction of one Coproxamol tablet. Moreover, severing the ulnar artery was a very odd way to commit suicide since, they said, it was of match-stick thickness and difficult to access. None of these concerns - and many more - was ever tested out, because the coroner's inquest where such evidence would have been heard was suspended in favour of the Hutton inquiry. And unlike an inquest, this had no statutory powers and did not require witnesses to give evidence under oath. This all led Lib Dem MP (now Transport minister) Norman Baker to smell a rat - giving up his front-bench opposition post to investigate what had actually happened. 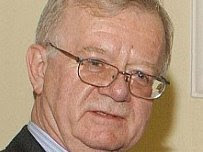 Mr Baker, who has a ferocious reputation for digging out politically uncomfortable truths, claimed that the police operation to investigate Dr Kelly's death had started around nine hours before the weapons expert was reported missing. He also made public letters suggesting that the coroner, Nicholas Gardiner, had doubts about the Hutton inquiry's ability to establish the cause of death - and may have been led up the garden path. The normal practice would be for the coroner to issue a temporary death certificate pending an official inquiry. But in this case, he issued an unprecedented full death certificate just one week after the inquiry started - and after he had held a meeting with Home Office officials. 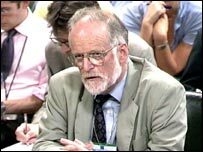 Three years ago, Mr Baker published a book claiming that Dr Kelly had been murdered by opponents of Saddam Hussein, who feared that Dr Kelly would 'discredit' them by revealing 'misinformation' they had deliberately planted to bolster the case for war in Iraq. 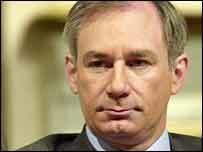 In a rival claim, however, Richard Spertzel, a retired American micro-biologist who led the United Nations biological inspection team in Iraq, says evidence had emerged that Saddam was planning to attack American and European cities with deadly nerve agents placed in over-the-counter perfume bottles. And Mr Spertzel says he was told that he and Dr Kelly, with whom he had worked closely, were numbers three and four on an Iraqi hit list. I myself have met people familiar with the shadowy world in which Dr Kelly moved who are certain he was murdered. They are adamant that he would never have committed suicide, that he was an outstanding patriot who had done much dangerous work for his country, and that there was no shortage of foreign tyrants who might have wanted him killed because of the evidence he uncovered about their biological weapons. Of course, all of this seems just too fantastic to be credible. Not only is it like a plot from a spy thriller, but if Dr Kelly was indeed murdered, there must have been a real conspiracy to cover this up involving police officers and pathologists, civil servants and politicians. Yet if the Attorney-General does launch an inquiry into Dr Kelly's 'suicide', this is precisely the incredible possibility that he would be opening up. And while it is entirely plausible that Princess Diana would not have died if she had been wearing her seat-belt, the story we have been given about the 'suicide' of Dr Kelly doesn't make any sense. 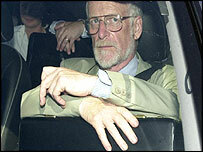 Might the truth be that the outing of David Kelly's name led not to his suicide - but to his killing? Maybe, in the end, the truth will turn out to be more prosaic. But let us hope that Messrs Grieve and Clarke are not deflected from their intention to lay this disturbing episode finally to rest. Medical experts have repeatedly questioned whether Dr Kelly could have taken his own life in the circumstances described by Lord Hutton. The re-opening of the case is understood to have the backing of several other Government members, including Transport minister Norman Baker, who believes Dr Kelly was murdered. Dr Kelly's body was found in woods close to his Oxfordshire home seven years ago next month. Although a coroner's inquest was set up to examine the 59-year-old's death, it was suspended. In its place the Government established the Hutton Inquiry. Unlike a coroner's inquest it had no statutory powers and did not require witnesses to give evidence under oath. 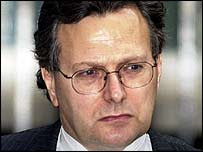 Hutton concluded that Dr Kelly killed himself by cutting his left wrist with a blunt gardening knife after he was named as the source of a BBC news report questioning the Blair government's grounds for invading Iraq. But the Hutton Report, published in January 2004, was dismissed by experts as a whitewash for clearing the Government of any blame, despite evidence it had leaked Dr Kelly's name to smear him. 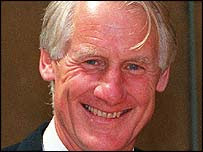 From the time Dr Kelly's body was found, on 18 July 2003, questions have been raised about the nature of his death. A group of leading doctors who are campaigning for a coroner's inquest to be held spent a year compiling their own medical report. It disputes that Dr Kelly, a Ministry of Defence employee and the world's leading weapons inspector, could have died from haemorrhage, as Hutton concluded. The doctors said it was not possible he would have died by severing the ulnar artery in his left wrist, as Hutton thought, because it is so small and difficult to access. In January, it came to light that Lord Hutton secretly classified vital evidence relating to Dr Kelly's death, including all medical and scientific records, the post-mortem report and photographs, for 70 years - until 2073. This information was not included in the Hutton Report. Mr Grieve's willingness to re-examine how Dr Kelly died comes three months after he wrote to Michael Powers QC, who has been working with the doctors to secure an inquest. In the letter Mr Grieve said: 'I am aware of the work of the doctors' group on challenging Lord Hutton's findings. A source confirmed his position has not changed since he entered the Government and he is exploring a way to reopen the inquiry. 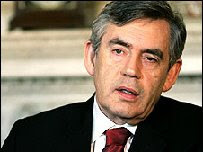 As Attorney General he would be the final arbiter in any decision to apply to the High Court for a full inquest. In January, the doctors applied to the Ministry of Justice to see Dr Kelly's post-mortem report and records. So far the MoJ has not released them. 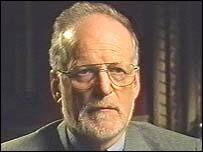 Lord Hutton has been criticised for ordering that medical records relating to the death of Dr David Kelly should be kept secret for 70 years. A 30-year ban was placed on 'records provided which were not produced in evidence'. This is thought to refer to witness statements given to the inquiry which were not disclosed at the time. But Lord Hutton ordered all medical reports - including the post-mortem examination findings by pathologist Dr Nicholas Hunt and photographs of Dr Kelly's body - to remain classified information for the seven decades. This usually only applies in cases of murder. The normal rules on post-mortem examinations allow close relatives and 'properly interested persons' to apply to see a copy of the report. They can also 'inspect' other documents. The precise legal basis for Lord Hutton's order has puzzled experts. The most likely source is a rule which states that medical reports and post-mortem reports can be classified by the Government until the deceased's youngest child is aged 100. Dr Kelly's youngest daughters were 30 when he died. Classifying the papers for 70 years would take them to the age of 100. The Iraq Inquiry has asked international lawyers for their analysis of the arguments relied upon by the UK government as the legal basis for the military intervention in Iraq. Letters have been sent to international lawyers, inviting them to submit their comments to the Inquiry by 14 July. The legal basis for the military intervention in Iraq has been the subject of much comment. The Inquiry has heard evidence on this point from a number of witnesses, including Lord Goldsmith the former Attorney General and Sir Michael Wood the former Foreign Office Legal Adviser. Transcripts of such evidence can be found at: http://www.iraqinquiry.org.uk/. In addition, a number of government documents relating to the formulation of the legal advice have been declassified and published on the Inquiry's website. The Inquiry is being advised on public international law by Dame Rosalyn Higgins QC. In order further to inform the Committee’s considerations, the Inquiry would be pleased to receive from public international lawyers any legal analysis they may wish to offer of the legal arguments relied upon by the UK government as set out in: the Attorney General’s advice of 7 March 2003; his written answer to a question in the House of Lords on 17 March 2003; and the FCO Memorandum "Iraq: Legal Basis for the Use of Force" of the same date. Lord Goldsmith’s evidence that the precedent was that a reasonable case was a sufficient lawful basis for taking military action. Submissions should be confined to issues as described in the preceding paragraphs and should not exceed 3000 words. They should be sent by email to: submissions@iraqinquiry.org.uk entitled International Law Submission; or by post to: Iraq Inquiry, 35 Great Smith Street, London SW1P 3BG. Submissions should reach the Inquiry by 14 July 2010. 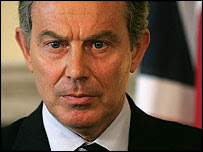 The Iraq Inquiry reserves the right to publish submissions.